If you want to blog, then you can blog. That’s just about as simple of an equation as you can get when it comes to the verb form of the word ‘blog’. You start with an idea, you match it to any framework you might have with respect to content, time, and budget, and you work forward from there. Depending on where you are in your process, you’ll go through steps like beginning with a play, using feedback analytics, making social media work for you to gather more attention, being sure to create a multimedia experience, and scaling the blog upward as downward as would be eventually practical. You don’t have to reinvent the wheel, and you don’t have to reinvent the format of a successful blog. There are tons of free resources out there that explain how to create a blog, step by step, using best practices that have developed over the years into a method that’s basically a one-size-fits-all starter package for people new to the blogosphere. Another big advantage that people who want to blog have nowadays is the presence of Google Analytics and other analysis computational references that you can find through your web server. You can track the time people spend on a page, where the traffic comes in from or goes out to, and a myriad of other data variables. Using these analytics, you can create a feedback cycle that objectively allows you to improve your overall blog presence almost on a daily basis. Once longer-term trends show themselves, you can add that to your mix of presentation as well. Before Facebook became as big as the internet, blogs were often sort of floating out on their own. But now, with the way that social media links things together, you can make it a point to recognize the importance of social media in the blogging world and combine all of your resources in order to gain the most viable attention. One of the big benefits of current blogging potential is the idea that as a creator, you can put forward a total multimedia experience. You can use audio, video, words, pictures, links, and even interactive animations to really pull you reader into the topic that you’re presenting. 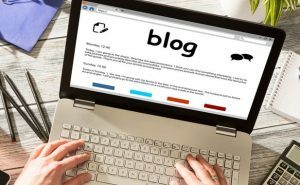 For blog success in this day and age, it’s a requirement to keep pulling in short attention spans. Blogs can expand and contract as necessary. If you’re in any stage of blog creation, from the beginning of your idea anywhere through the final execution and pressing of the ‘publish’ button, you can open up more virtual space for content, or close down some of the extra details that may just be taking up unnecessary space.